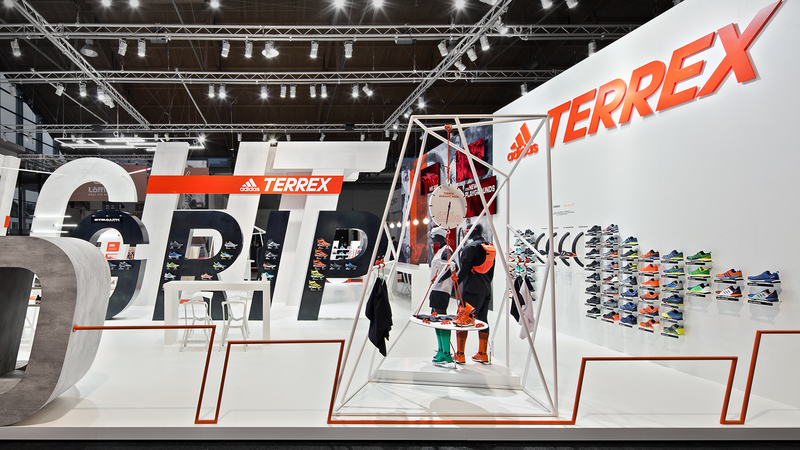 At OutDoor 2016 in Friedrichshafen, adidas presents its outdoor brand under the new name adidas TERREX to the international public. 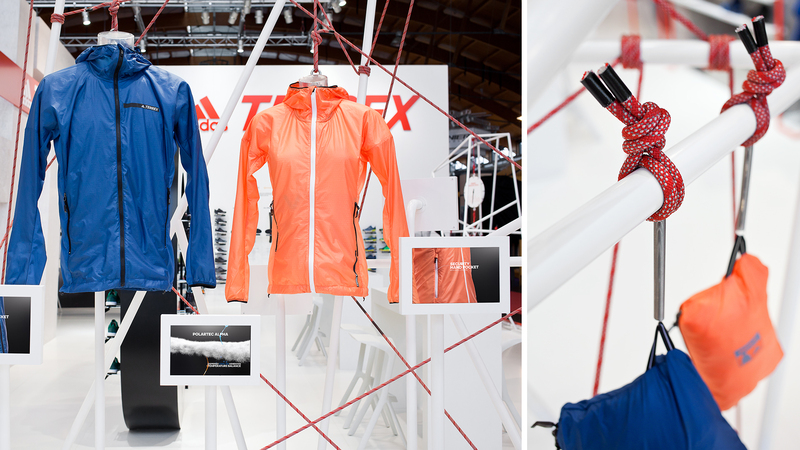 Therefore, the adidas sub-brand is central to the fair appearance. 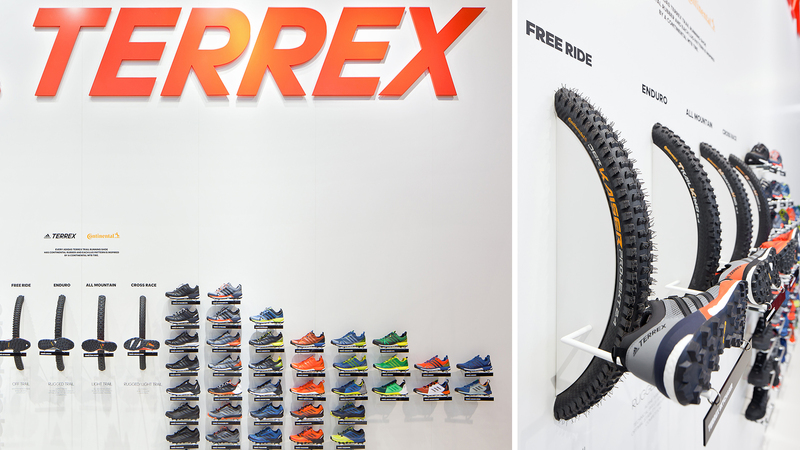 Last year’s OutDoor fair design has been updated to match the look and feel of the new corporate design. 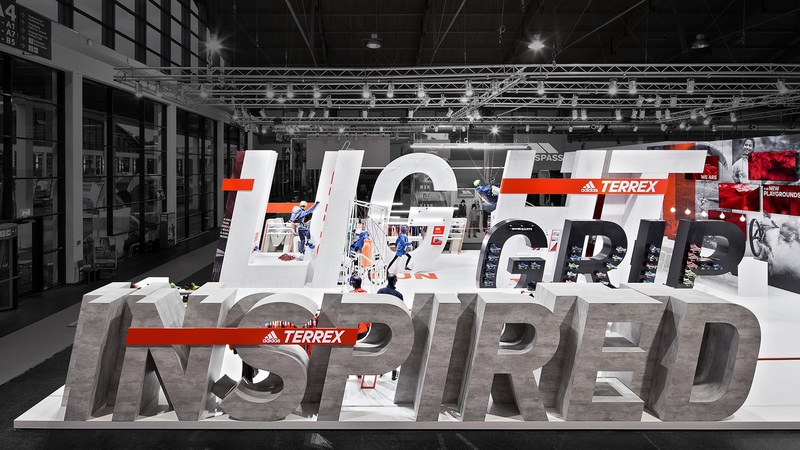 The fair architecture developed by Dart with its oversized, accessible word sculptures serves as a dynamic setting for the product presentation of adidas TERREX in 2016, as well. 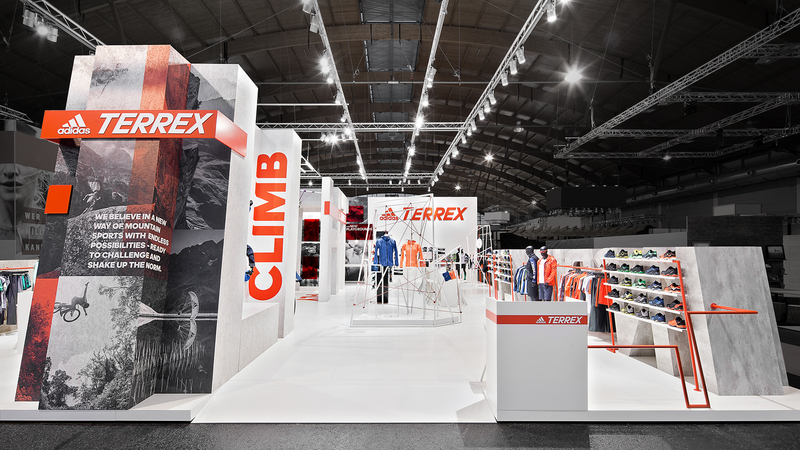 As architectonic mantras the key words of the adidas outdoor world rise up to five metres high into the fair hall and form alpine landscapes with their distortion and staggered arrangement into several spatial levels. 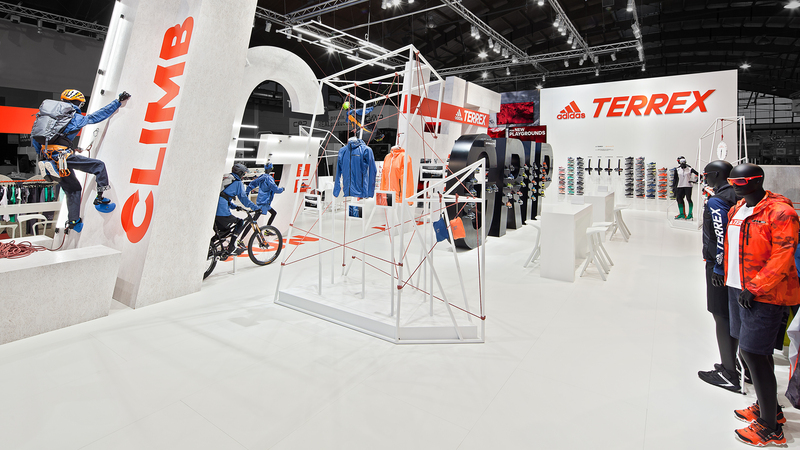 Arranged in 3D, the words make up accessible spaces, which can be walked through by visitors and at the same time embed the adidas TERREX products scenographically. In terms of colour reduced to greys, browns and whites, the architectonic word sculptures create the perfect stage for the trendy-colourful outdoor products. 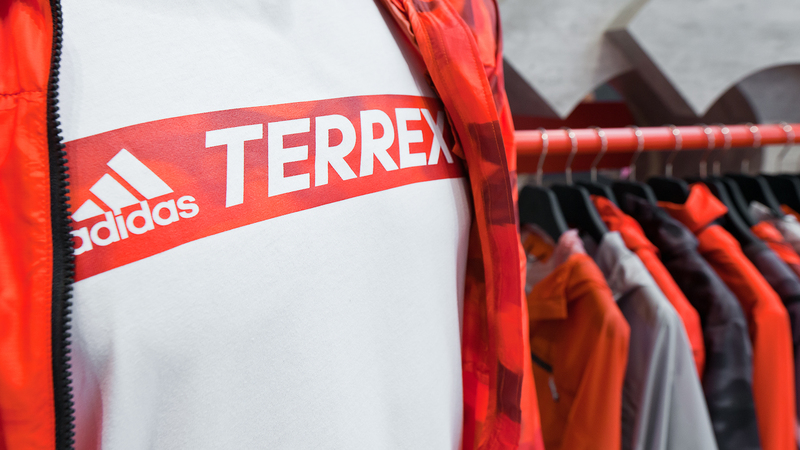 Also, the new corporate design of the brand adidas TERREX being presented in dark red thus comes to the fore of the brand architecture. Coloured bands twine around the five metres high word sculptures and carry the new brand name widely visible into the space.